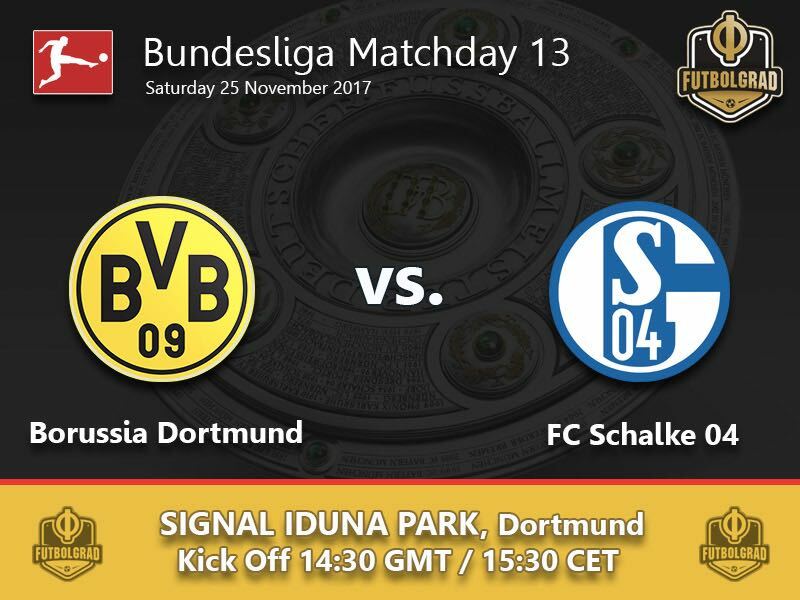 Borussia Dortmund vs Schalke 04 – Saturday 14:30 GMT /15:30 CET – SIGNAL IDUNA PARK, Dortmund. Wird Blau das neue Gelb? stated Kicker this week. Germany’s premier football magazine made a sweeping reference to Dortmund’s recent problems and the rise of their Gelsenkirchen neighbours – however, a victory for die Königsblauen in this weekend’s Revierderby could signal a week of extraordinary change for the once fancied ‘champions in waiting’. Peter Bosz must be wondering if August and September were a dream. Dortmund’s new head-coach oversaw a breath-taking start to this season’s Bundesliga campaign. Picking up 19 points from the first 21 on offer many saw die Schwarzgelben as early title favourites — what followed, however, was an implosion. A disastrous run of form has seen Dortmund surrender 15 points to arch rivals Bayern München, fall to fifth in the Bundesliga and crash out of the Champions League at the first hurdle. A once air of expectation has given way to a smog of insecurity. Defeat to Bayern, Leipzig and most recently Stuttgart have bookended a thumping by both Real Madrid and Tottenham. Star performer Pierre-Emerick Aubameyang has just finished a club initiated suspension — the electric goal scorer has been somewhat goal shy of late, but it has been his ‘off-the-pitch’ antics that have again hit the headlines. Dortmund Sporting Director, Hans-Joachim Watzke commented this week “A group needs to have rules… From time to time, you have to enforce discipline. It is like any family; you have to say STOP”. Time could be running out for Bosz at Dortmund. Not helped by player form and a stuttering system, defeat at the hands of their arch-rival might just be the catalyst for a late November departure. 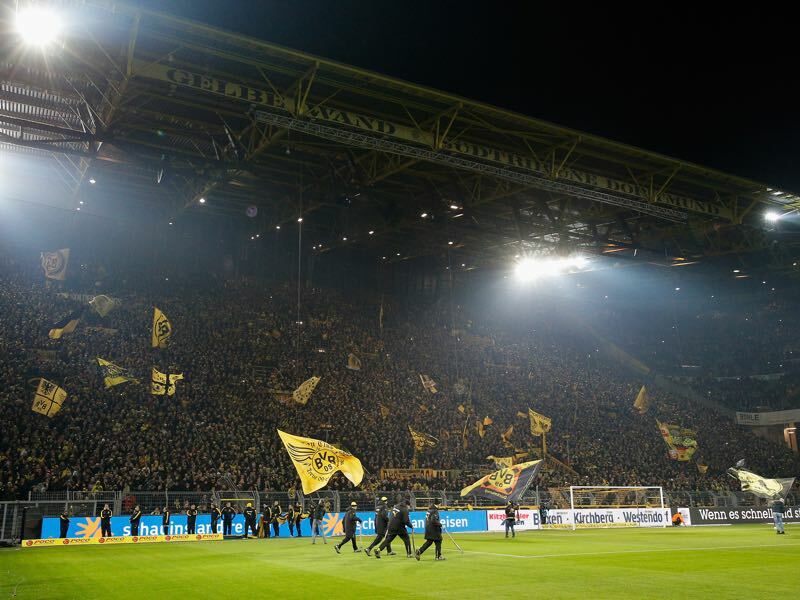 In a game of heightened emotions, this particular Revierderby has an extra edge for all those in yellow and black. In stark contrast, Schalke’s Dominic Tedesco has been hailed as an early season saviour for the Royal Blues. Last season’s 10th place and European whimper has been replaced by a form and style that currently has the once famous ‘Eurofighters’ sitting in second place. With 13 points under their belt from the last available 15, Tedesco’s Königsblauen find themselves as favourites for Saturday’s fixture. However, the 32-year-old head coach isn’t considering this. Speaking at Friday’s press conference, Tedesco said, “The current table will play no role for me… the highs and lows come very quickly in football.” Even though Dortmund have been in terrible form, the Italian is still aware of the threat their neighbours pose “The whole of Germany was wondering if Borussia Dortmund could be stopped just a few weeks ago… we have to work hard to cover a lot of ground, while not losing our shape” the coach said. With Bentaleb and Insua unavailable for selection, the Royal Blues will be waiting for a late notice fitness test for star man Leon Goretzka who returned to training this week. The 22-year-old central midfielder hasn’t played since matchday nine. After bowing out to Ajax last season in the Europa League the chance to heap misery on Dortmund’s Bosz adds an extra spice to what already is a melting-pot of a derby. The 22-year-old graduate of the 1860 München academy hasn’t featured as much this season as he would have hoped. An early season ankle injury gave way to time on the bench – however, Matchday 11 and 12 saw a return to full 90-minute action. With many derbies resting on the key midfield battles the Revierderby will be no different. Should Dortmund harbour any plans to get back to winning ways then, Weigl’s linkup play between defence and attack will be key. Scoring in the 6:1 rout of Gladbach the defensive midfielder has already shown he can chip in with goals when needed. The once attacking Meyer has been re-rolled by Tedesco into a multipurpose midfielder. Life as a deep-lying playmaker has come easily to the 22-year-old native of Oberhausen. The Royal Blue revival has been achieved with the midfielder’s adaptation to his new role. 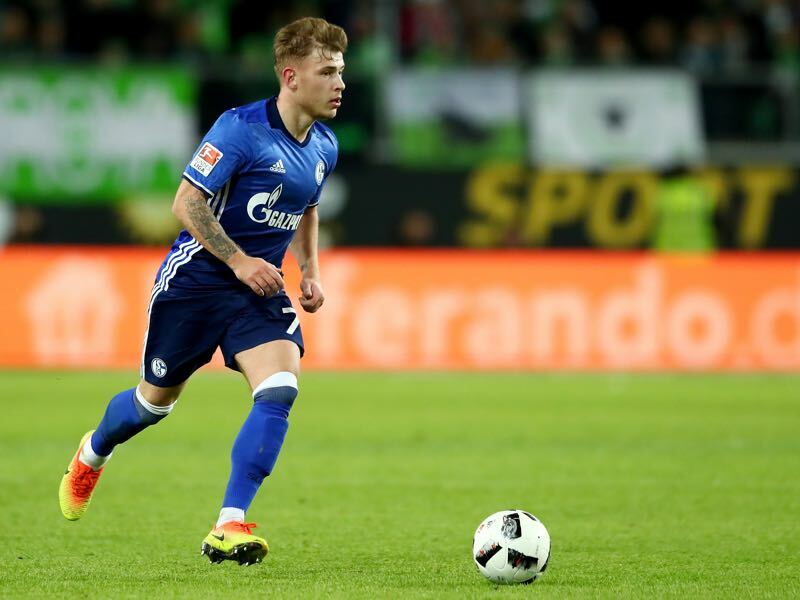 Recent performances against Hertha, Mainz and Hamburg have all shown that the Schalke youth graduate has the tenacity and skill set to adapt to any given situation. With local pride on the line, the midfielder is acutely aware of what the Revierderby means to all those in blue. 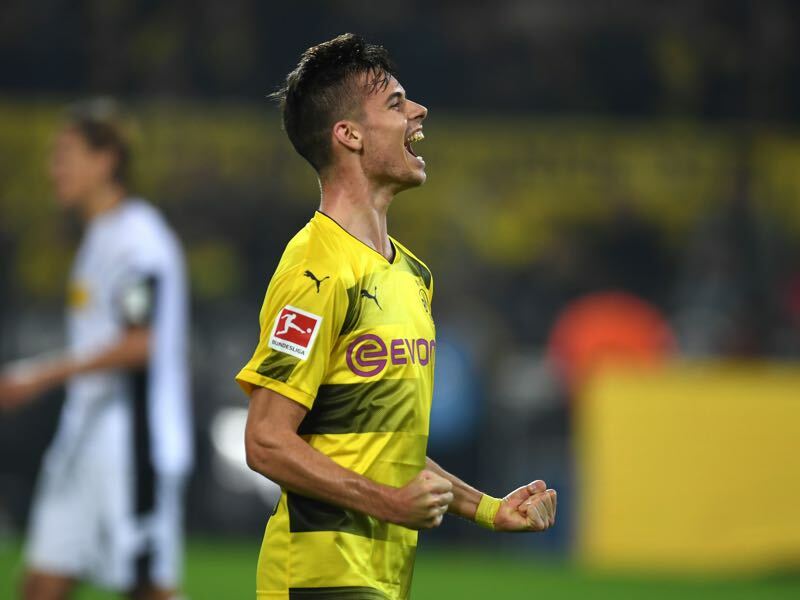 His battle with Weigl will be one to keep an eye on; the winner just could be the catalyst to their team’s success on Matchday 13. BVB were 9pts points clear of S04 after Matchday 7 – they now find themselves 3 behind their neighbours.